Home » Health & Wellness » Preventative Care » Is Zika coming to Maryland? A: Zika is a virus spread mainly by Aedes aegypti mosquitoes, a species found in Maryland and many other states. These mosquitoes, when they bite people infected with Zika virus, become disease carriers and spread the virus by biting other people. In some cases, Zika can also be transmitted between sexual partners. Q: Where does Zika come from? A: Before 2015, Zika virus outbreaks occurred in areas of Africa, Southeast Asia, and the Pacific Islands. Since then, Zika has spread to parts of South and Central America, Mexico and the Caribbean. Q: Is Zika in Maryland? A: At the time this article was written, there were dozens of confirmed cases of Zika virus in Maryland, but all of those people were infected while traveling overseas. So far, no one has gotten Zika in Maryland, but the imported cases may result in local spread of the virus. Q: Are people with Zika contagious? A: At this time, the Zika virus is not believed to be airborne and is not primarily spread from person to person, which means there’s little to no risk of becoming infected with the virus from simply being near an infected person. However, Zika can be transmitted sexually. Q: How dangerous is Zika? A: Most people infected with Zika virus won’t experience any symptoms or will only have mild symptoms. Common symptoms include fever, rash, joint pain, muscle pain, headache or conjunctivitis (red eyes). The illness is usually mild with symptoms lasting for several days to a week. Hospitalization is rarely needed, and so far there have been only two deaths from Zika reported in the U.S. – an elderly man with other health issues and a baby born infected with the virus. The main danger from Zika is that pregnant women can pass it to their unborn children. The CDC has confirmed that the virus can cause severe defects in unborn children, including microcephaly, which leaves babies with abnormally small heads and often with brains that do not develop properly. The CDC strongly advises that women who are pregnant or plan to become pregnant soon don’t travel to Zika-infected areas. Q: If Zika comes to Maryland, what can I do? 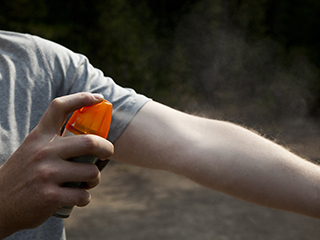 Use insect repellents containing DEET, picaridin, IR3535, para-menthane-diol, and lemon eucalyptus oil. Aedes mosquitoes typically lay eggs in standing water, so empty water from containers outside your home such as buckets, bowls, bird baths, flower pots, old tires and vases. Q: What should I do if I think I have Zika? A: The risk of getting Zika is presently very low in Maryland. However, if you travel to an area with Zika and develop a fever, rash, joint pain, or red eyes within two weeks of returning, see your doctor. Be sure to tell your doctor where you traveled. Zika can’t be cured, but your symptoms can be treated to make you more comfortable. Dr. Levine is an MPCP partner and sees patients in the Columbia office. He received his medical degree from New York Medical College, completed his residency program in Internal Medicine at University of Maryland Medical Center, and is certified by the American Board of Internal Medicine. 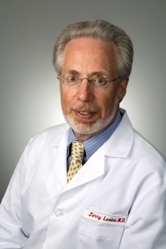 Dr. Levine currently serves as MPCP’s Medical Director and Vice President.